The worldwide supply chain management (SCM) software market totalled $7.7 billion in 2011, a 12.3 per cent increase from 2010, according to Gartner, Inc. It was the second year of double-digit growth for the SCM software market as supply chain investments kept their priority status and moved forward, despite caution from IT budget decision makers. "Despite ongoing economic uncertainty, the market for supply chain applications showed itself to be pretty resilient in 2011 with most SCM providers continuing to expand their footprints," said Chad Eschinger, research vice president at Gartner. "North America and Western Europe continued to be the prime consumers of SCM software in terms of dollars spent, with nearly 79 per cent of market revenue. However, European growth slowed in 2011 while Asia/Pacific continued to experience robust growth that significantly outpaced the market average." SAP continued to lead the SCM software market, accounting for 19.9 per cent of the worldwide market (see Table 1). Oracle was the No. 2 vendor with 16.9 per cent market share. Ariba experienced the strongest growth among the top five vendors with SCM software revenue increasing 46.5 per cent in 2011. "The SCM software market is fragmented, with a plethora of small and midsize vendors (with revenue of less than $50 million) across regions and its four primary market segments," said Mr Eschinger. "Nevertheless, the top five vendors - SAP, Oracle, JDA Software, Ariba and Manhattan Associates - collectively held 48.3 per cent of the worldwide SCM software market based on 2011 total software revenue." Mr Eschinger said that SCM offerings delivered as software as a service (SaaS) subscriptions continued to bolster above-market growth in 2011 at 21 per cent for both long-standing incumbents and many best-ofbreed point product vendors, with focused capabilities for specific niche markets, while perpetual licenses also grew significantly at 15 per cent. The Gartner Supply Chain Executive Conference series provides a unique opportunity to collaborate and connect with the world's leading supply chain executives. 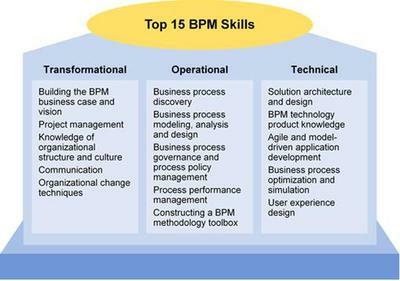 The conference combines strategic and tactical advice from Gartner analysts and thought leaders who collectively have over 150 years of supply chain and end-user experience. For further information about the Gartner Supply Chain Executive Conference 2012 taking place 21-23 May in California, please visit www.gartner.com/.... Members of the media can register by contacting Christy Pettey at christy.pettey@gartner.com. 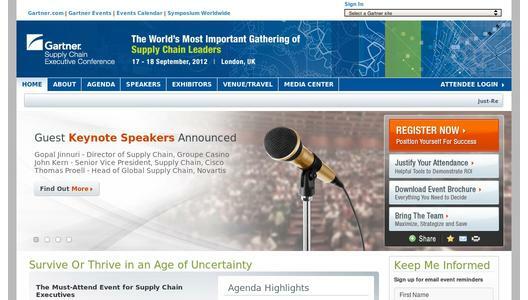 The Gartner Supply Chain Executive Conference 2012 in Sydney will be held 23-24 July. More information is available at http://www.gartner.com/.... Members of the media can register by contacting Susan Moore at susan.moore@gartner.com. For additional details about the Gartner Supply Chain Executive Conference 2012 taking place 17-18 September in London, please visit http://www.gartner.com/.... Members of the media can register by contacting laurence.goasduff@gartner.com. Additional information from the event will be shared on Twitter at http://twitter.com/... and using #Gartnerscc.